Phew. Gotham's really gone through a lot. Bad guys like the Joker, the Riddler, even really nasty baddies like Bane. Batman's taken care of a lot of the trouble, but in all honesty, we're hearing that he's a little pooped out. So, we're thinking it's time for a new Bat-hero to step up and save the day. 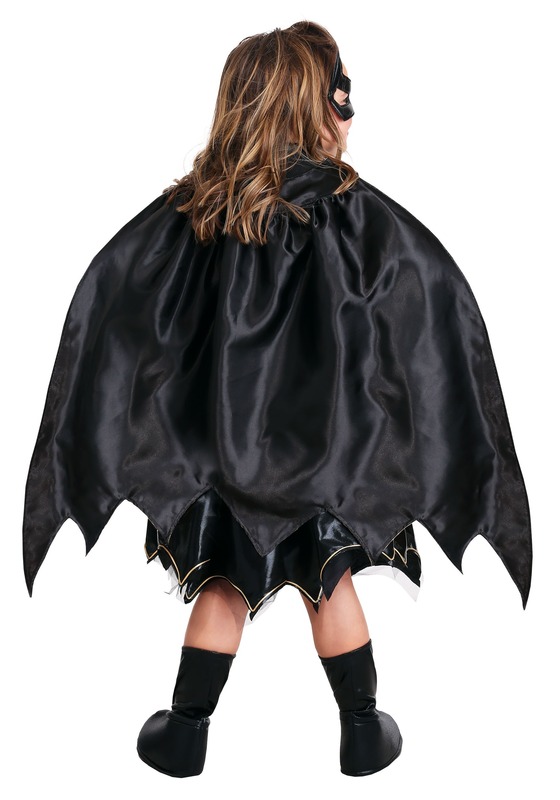 Yeah, we're gonna be totally honest here... we're thinking it should be Batgirl! Now, that would be very sweet indeed! Depending, maybe, on who suits up in the Batgirl costume. If you have a candidate, that's great! We think any little lady should consider stepping up into superhero service, and surely the best way to find out who's got what it takes is a trial by fire. So, the first step? 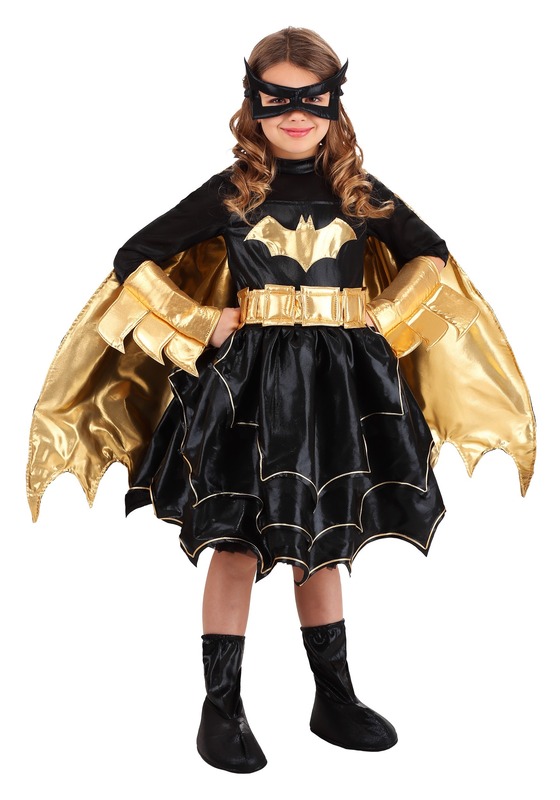 Let's get your girl into this Deluxe DC Comics Batgirl Costume. And the next step? We'll go stop the evil plans of the Penguin! She doesn't need a trip to the Batcave to get outfitted in premium Batgirl style. All she needs is this DC Comics officially licensed costume! This snazzy dress comes with a detachable cape, and a face mask, too. Everything she needs to suit up as a legit hero. Outfit her with this costume, and she'll be ready for action. Okay, okay. We're exaggerating a little bit. She's not ready to fight crime (yet) but she would like to be Batgirl this Halloween. And that's a really awesome choice! This costume is indeed a great way to have her suited up as a classic comic book character, and she'll be ready to head out and round up all the trick-or-treat candy she can find. Loading up on sugary treats is sure to be a great first step towards superhero status!